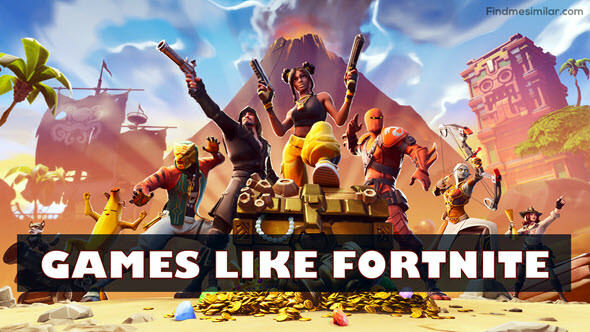 23 Games Like Fortnite - Best Battle Royale Alternatives '+g+"
Fortnite is an amazing crafting survival game where you can fight against hordes of monsters with friends collecting resources needed to build a base. This game also features a game mode called Fortnite Battle Royale which is more serious and entertaining where players compete against each in a constantly shrinking Safe zone. If you are addicted to Fortnite and looking for other alternatives to the title below list is made for you. Our recommendations include both offline and online Fortnite alternatives available on different platforms such as Android, iOS, PS4, Xbox, PC and more. Most of these games are free with in game purchases. These recommendations are based on my personal opinion and if you feel that there is any similar games like Fortnite that we might have missed please make sure to mention them in the comments below so that we may update our list.